A quick and simple game in a ‘portrait’ page format. 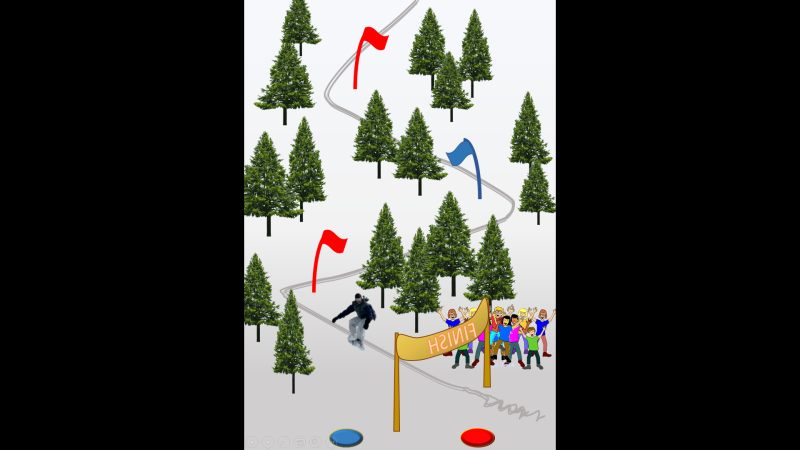 All you have to do is click on the right red or blue button at the right time to get the snowboarder to slalom down the mountain between the posts. 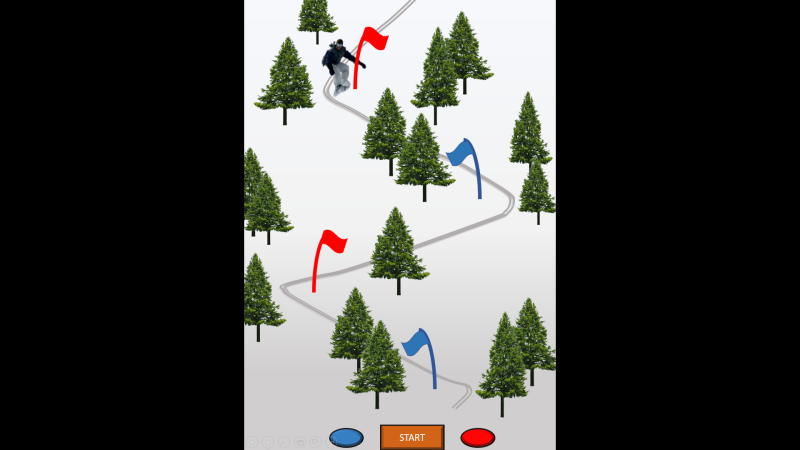 He also goes a bit faster with each screen, so don’t overshoot and end up in the trees! I keep thinking that there’s more that I could do with this game, but here it is in it’s current version anyway.